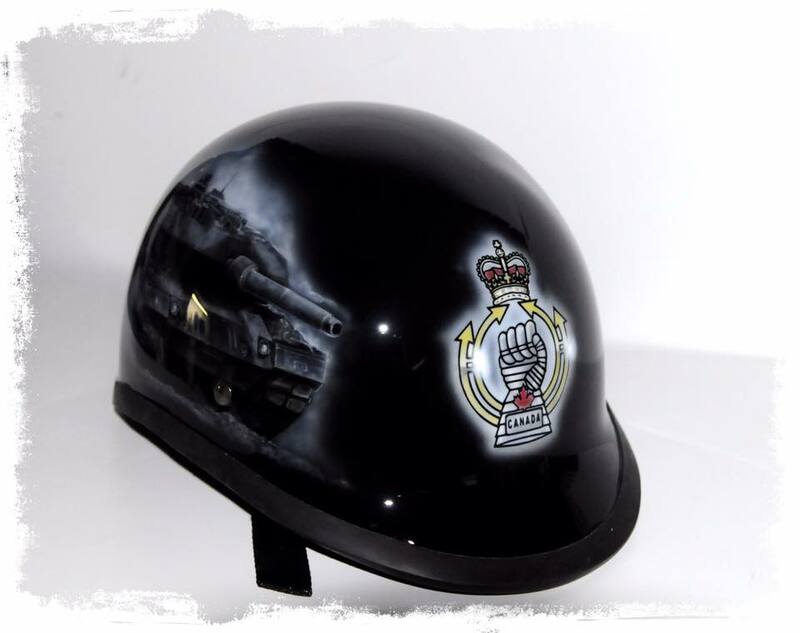 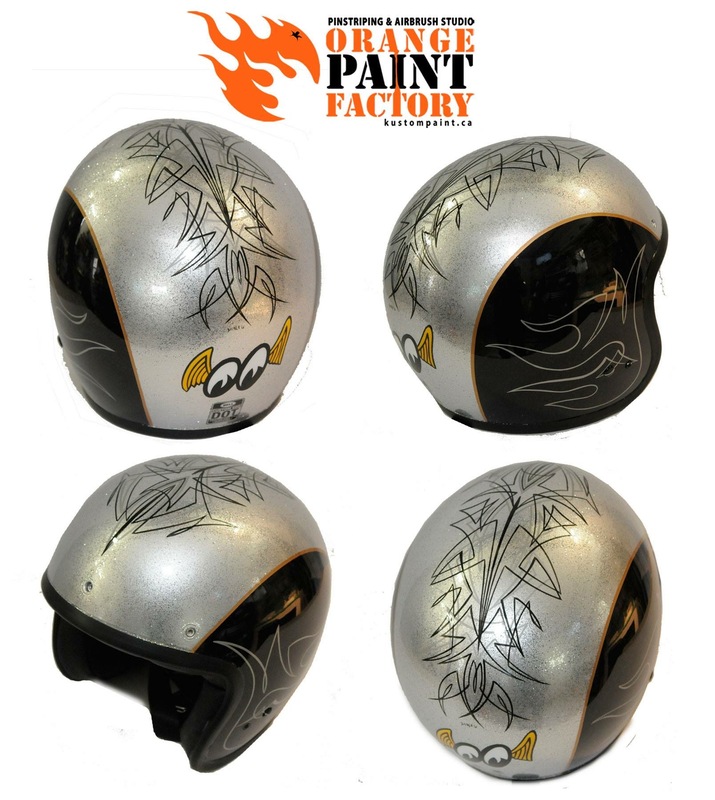 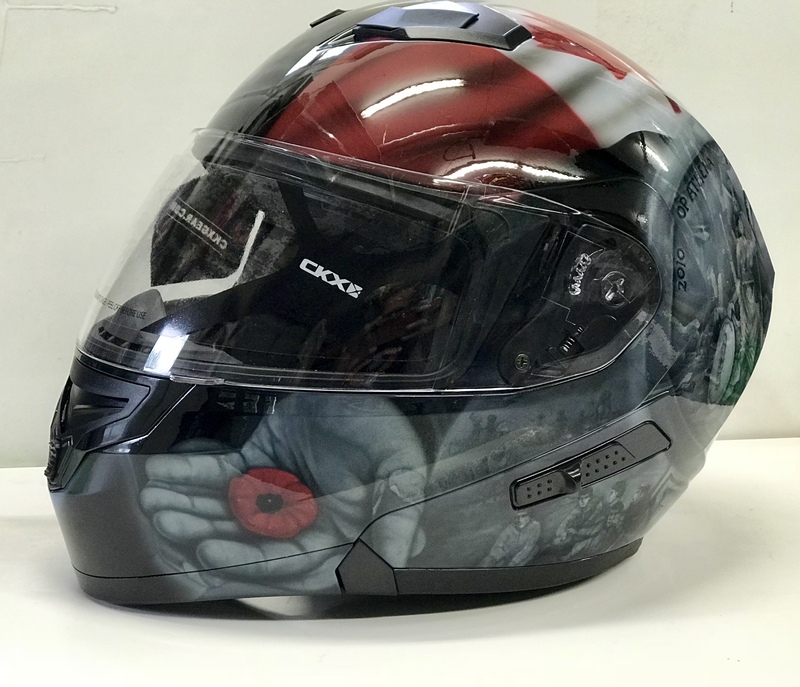 Motorcycle Helmet for the Armd School we painted as a gift to the departing Cmdt of the Armd School. 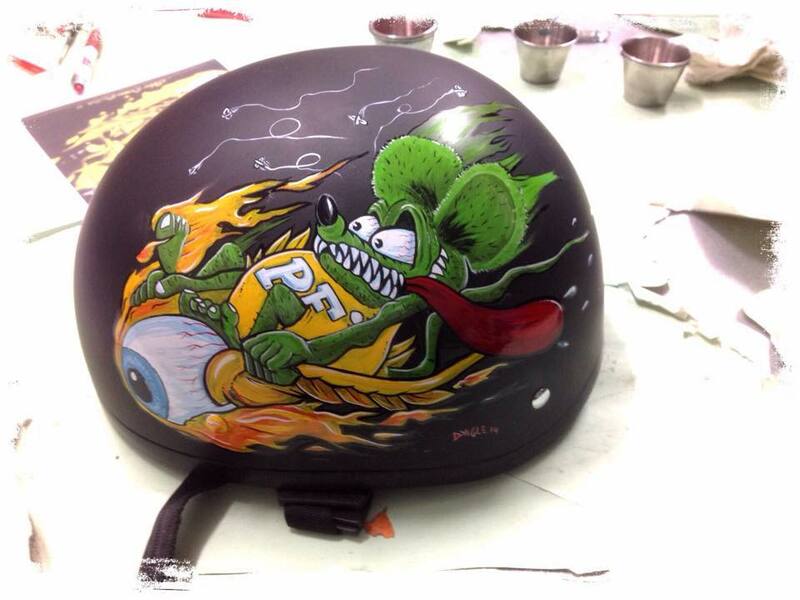 House of Kolor. 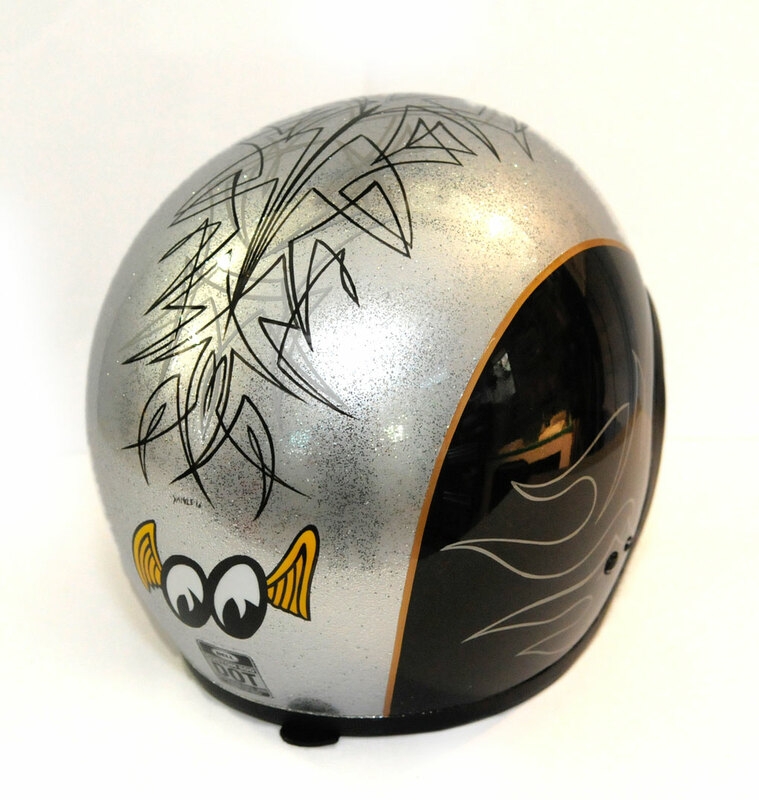 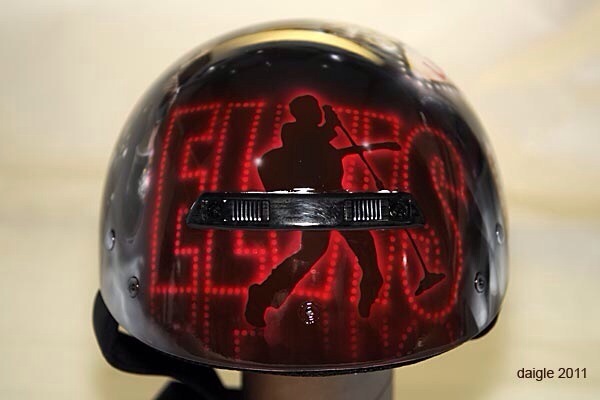 Elvis Helmet we painted for a local impersonator. 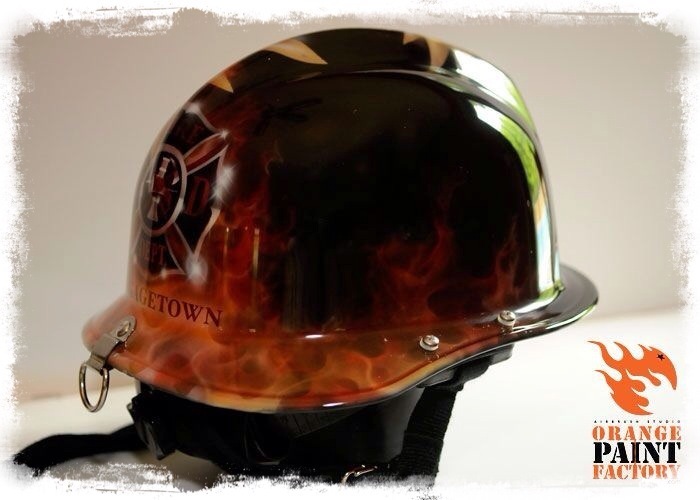 Project we painted for local military fire department for use a various Fire Department Competition Chalenges. 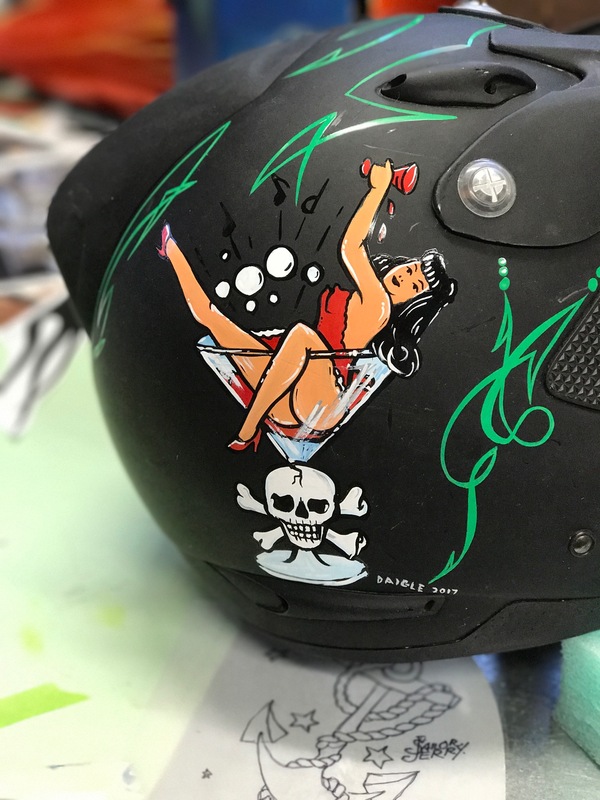 Helmets painted with House of Kolor paint. 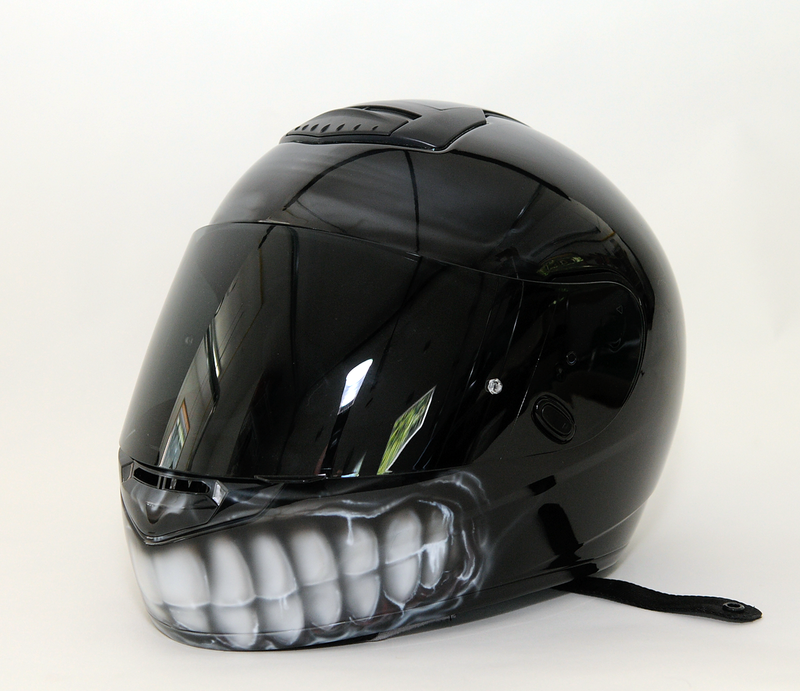 Full face Helmet with grin custom painted. 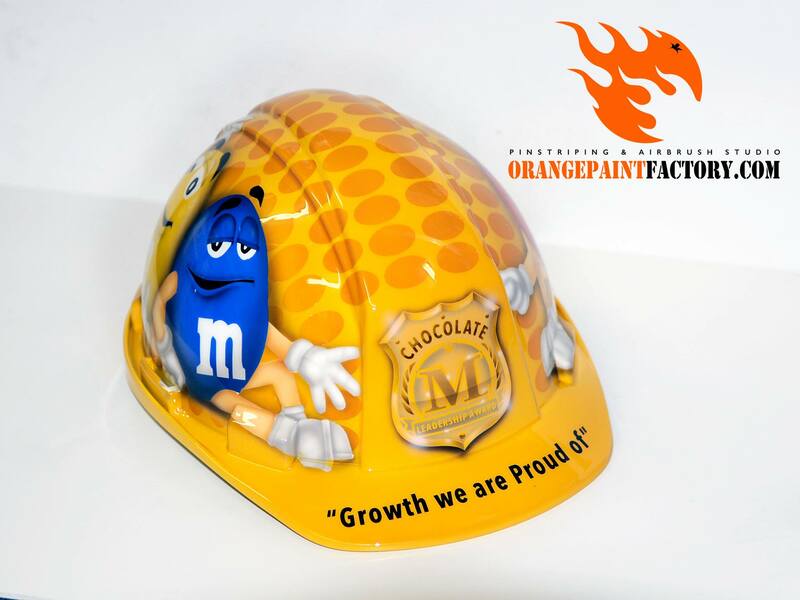 M&M Project for Mars Canada. 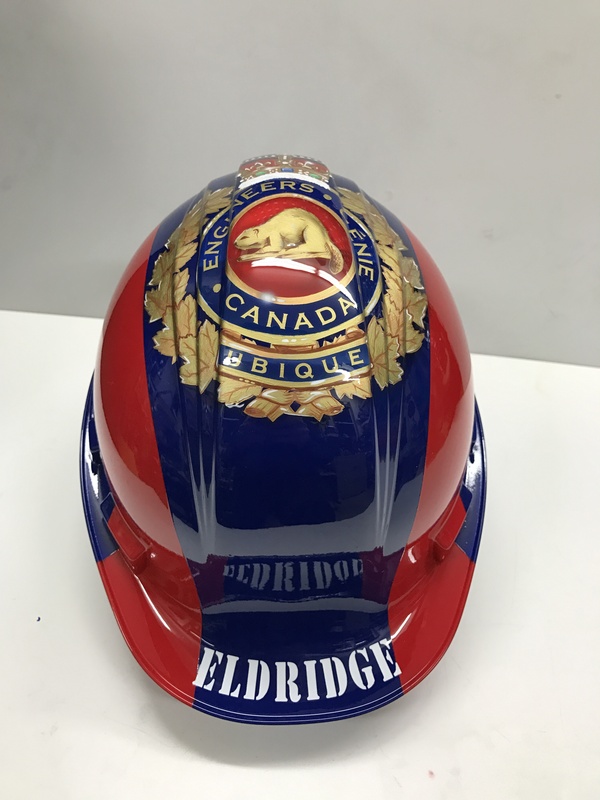 Helmet will be used for a Hard Hat Award for employees.